Penguins are naturally adorable and bring a special magic to the animal kingdom, but did you know the scientific reason behind their famous waddle? You’d waddle too if you were holding in a buttload of fluffy and fun Penguin Poots Cotton Candy! 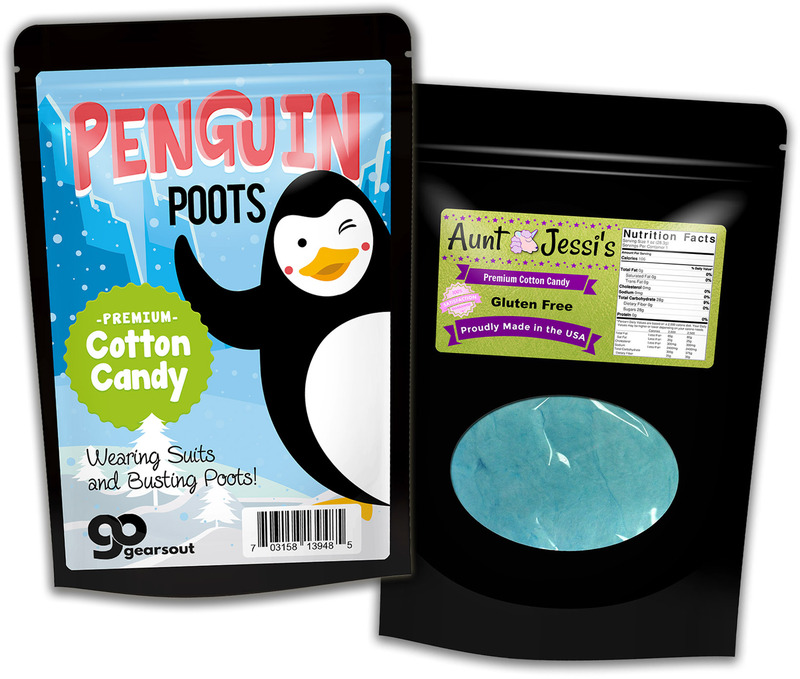 Our sugary, gluten-free, penguin toot candy formula delivers flavor and giggles! 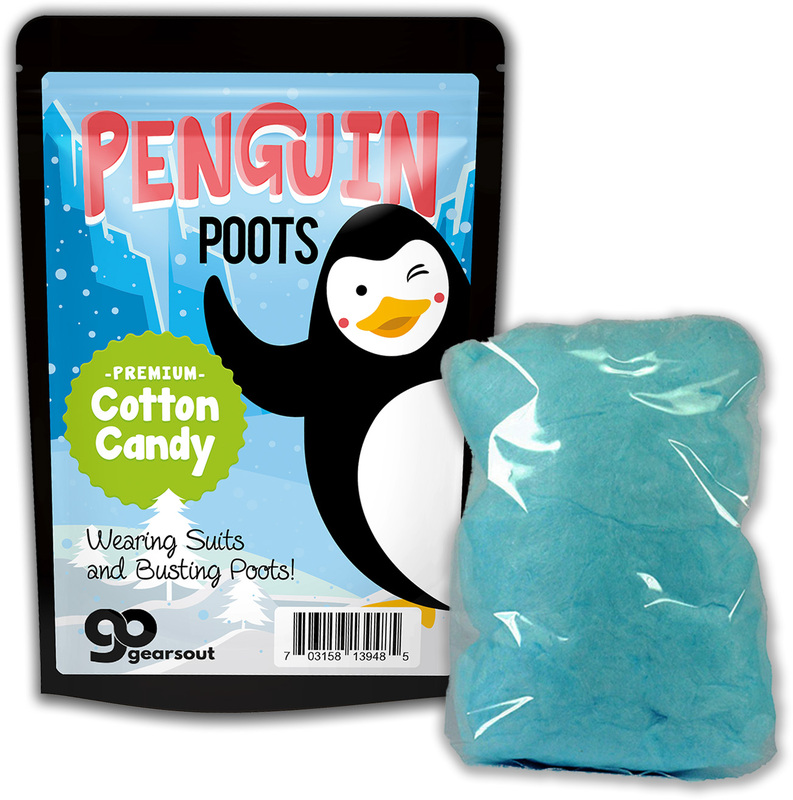 Penguin Poots Cotton Candy is a fluffy, blue treat that is as big a gas to give as it is to receive. 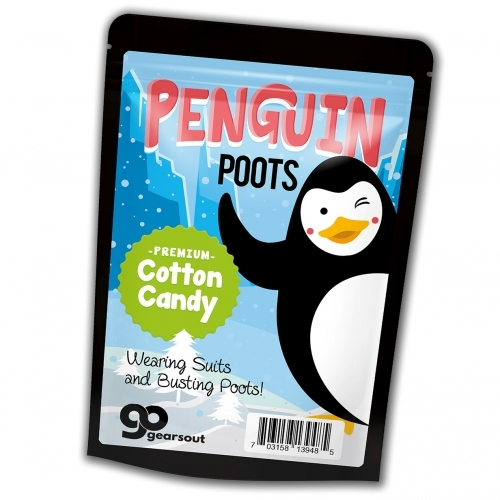 Penguin Poots Cotton Candy is a unique gift for bird-loving friends and family. This silly, clean humor gag gift is perfect for anybody on your gift list no matter what you’re celebrating. 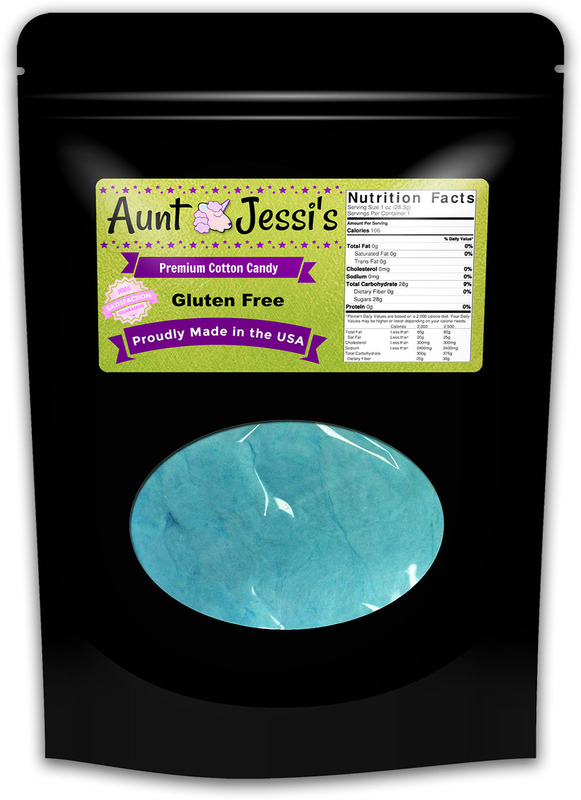 Add a bag to holiday care packages and birthday gift baskets. Slip some in as a funny stocking stuffer or wrap it up for a memorable white elephant or Secret Santa gift.